A car accident is a traumatic experience, and you are likely to have a lot on your mind in the immediate aftermath of an accident. 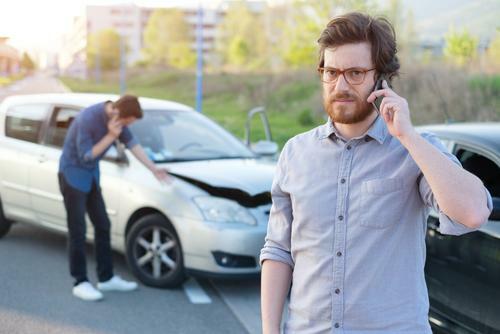 Once you leave the accident scene and attend to your pressing medical needs, you may be wondering what you can do to ensure that your car accident claim moves smoothly. Inform your insurer. Even if you do not believe that you were at fault, it is best practice to tell your insurer of the incident as soon as possible. Failure to do so could result in the denial of a later claim. Get a copy of the police report. If police came to the accident scene, there is usually a report. This report contains a lot of helpful information, including the personal information of the involved drivers, insurance details, and a summary of what transpired. The report may also include whether any traffic tickets were issued. Write down property damage repairs. Keep track of what repairs were required to your car and any other damage to your property, such as trailers or objects you were transporting. Create a log of your medical treatment and health consequences. Many accident victims quickly forget the amount of pain they were in or how the accident affected their life. It’s important to jot down a few notes each day on how you are feeling and what you are able to physically and mentally do. Missing work or life events are important details to record. Check your social media privacy settings. Adverse parties will be looking for any statements you make online about the accident as well as how quickly you recover. It’s best to not comment online about your accident at all. One of the most important things you can do is to contact an attorney to review your case. We find that many accident victims do not understand what compensation they are entitled to. Moreover, many accident victims underestimate the amount of compensation other, similar cases have received in the past. An attorney is especially important if your injuries require medical care (beyond an initial checkup to determine injuries) or if you have missed time from your job. In these circumstances, an insurance company may try to offer you a quick settlement. Even if the amount seems fair, an attorney’s advice can be invaluable to getting the compensation you deserve and for giving you the confidence that the settlement amount will cover your losses. Once you take a settlement check from an insurer, you usually lose any right you have to a lawsuit. Contact the accomplished of Flaherty Law at 815-577-7500 to learn more about your case. Our firm offers free initial consultations, and we do not charge attorney’s fees unless you recover damages for your injuries.